This article will explain the term OKR, which stands for Objectives and Key Results. After reading, you’ll have more insight into this management methodology that was created by Intel Red. It is used to set up, communicate, and monitor quarterly goals and results in an organisation. 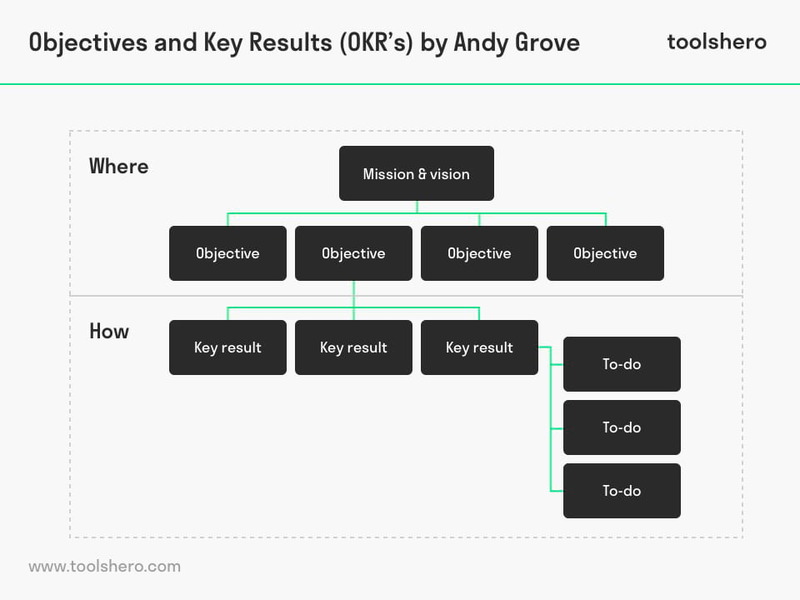 OKR was originally developed by Andy Grove, one of the founders of Intel and the author of High Output Management. John Doerr, of the venture capital firm KPCB, later popularised OKRs by introducing them in many of the businesses in his portfolio. The purpose of an OKR is to link objectives to measurable results, making employees work together toward a common goal. That’s why an OKR is described on 3 levels: company level, team level, and personal level. Basically, the method asks you two questions: What do I want to achieve, and how will I know if those goals have been achieved? When all activities in the company contribute to achieving the vision and objectives, it becomes possible to reach a higher goal. Organising self-directed teams requires focus on a common goal. Particularly important are committed and enthusiastic employees. This is an important topic for many organisations. Committed employees add more value, which results in: Happy, loyal, and committed customers. This in turn leads to Sustainable growth and results. This management methodology uses two important aspects for today’s fast-paced work environments. dividing an objective into smaller steps (the 3-5 key results). Focus – What do we do as a business, and what don’t we do? Setup – How do we ensure that the entire company focuses on what’s most important? Speed up – Is your team achieving its true potential? Can be connected or downsized so your team or individuals in your team can link and coordinate their supporting objectives with those of the CEO, executive, or manager. An objective is like a mission statement, just for a shorter time period. A properly worded objective inspires a team, is challenging (but not impossible) to carry out in a certain amount of time and can be carried out by the person or people who came up with it independently. Key results are the steps that have to be taken in order to achieve the goal they refer to. Like objectives, the key results have to be measurable and preferably also quantifiable and time-limited. The image above shows that you can determine your objectives based on the mission and vision. Together they tell you where. To-dos are things you have to do in order to achieve your key results. Together they tell you how. Inspiring – only visionary, daring, and eloquent goals will help the people in your organisation move forward. Demanding – aims high with stretch goals far beyond the status quo, even to a point that people feel uncomfortable. Explicit – make your goal clear, concise, and easy to understand at a brief, first glance, even to outsiders. Achievable – only commit to goals that can be (almost) completely achieved in the prescribed period by the assigned individual or team. A positively worded goal with action verbs is more inspiring than a passive statement; instead of saying, ‘cut back on snacking’, you could make it more positive by saying, ‘eat more healthy calories’ when describing a goal. The key results explain how you’ll achieve a certain goal. They have to be quantitative, but always measurable in terms of their progress. People often opt to start their list of key results with, ‘as measured by: …’. This has to be considered when it comes to key results, because only results count for each milestone on the way to achieving the goal in question. Therefore, a key result shouldn’t just be focused on a possible solution. Specific – aims at a specific area of growth or improvement and leaves little room for interpretation. Measurable – quantify or suggest a progress indicator to monitor, this could be a quantity or ratio, for instance. Attributable – indicate who will be doing it or will at least be held responsible (the less people, the better). Realistic – indicate which results can realistically be achieved, even if they’re difficult or aggressive given circumstances, interdependencies, and available resources. Time-related – if not standard at the end of the indicated period, describe the date or event at which time the result has to be achieved. OKR isn’t just a framework to create goals. It should also lead to continuous discipline to help people work together on measurable progress, going in the right direction. Objectives and key results have to be evaluated weekly to maintain focus and prevent ‘fire and forget’. Usually, these evaluation sessions are used to continuously judge the progress and share wins, receive feedback, share mistakes, examine problems, and discuss obstacles together. 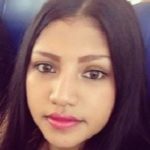 Want to increase motivation? Discuss your team’s successes and try to emphasise individual contributions from team members that made a difference.